You’re probably aware of how important it is to brush your child’s teeth regularly, but brushing isn’t enough. For the best oral health, you should also floss between your child’s teeth every day. Flossing removes food particles, plaque, and bacteria from between teeth where toothbrushes can’t reach. When you neglect to floss, these substances produce acids that erode tooth enamel and lead to cavities. The benefits of flossing last a lifetime, even when you start with baby teeth. Teaching kids how to floss teeth properly is setting the stage for decades of easy dental appointments and radiant smiles. Why Should You Worry About Baby Teeth? Although baby teeth are only around for the first few years of life, it’s important to take care of them properly. Besides being a functional set of “training teeth,” they serve as placeholders for the adult teeth that eventually replace them. Your child’s first set of teeth contributes to proper jaw formation. If baby teeth are lost too early, adult teeth may not have a large enough space to erupt. Taking care of baby teeth also prevents infections that could lead to discomfort, oral health problems, or illness in the rest of the body. When two baby teeth have grown large enough to touch each other, a toothbrush is no longer adequate; it’s time to start flossing. Until your child is about nine years old, you’ll need to help. Little hands lack the coordination to floss effectively on their own. By nine years of age, most kids can handle flossing without help. 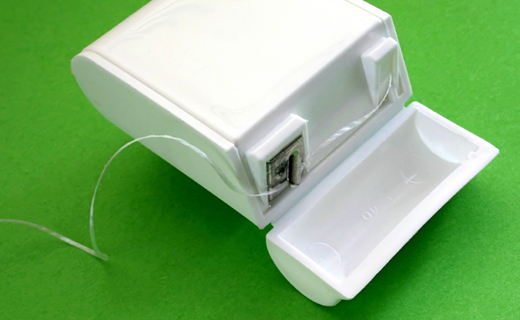 Plastic flossers may be easier for children to handle when they are first learning. Because it is toxic if accidentally swallowed, don’t add mouthwash to the dental care routine until your child is at least six years old. Be sure to schedule regular dental appointments, so any developing problems can be addressed early. I am very comfortable with Manatee Dental and my Hygenest. I have recommended MD to a friend, and she now drives from Sarasota to go there.